Do you have a question about Microwave Sample Preparation? Join the chemists from CEM as we tour across North America to discuss sample preparation, clean chemistry and other relevant topics. Discuss your sample preparation challenges directly with a CEM chemist and learn about the latest techniques and equipment. Breakfast and lunch are provided and there will be a drawing for gift cards at the conclusion of the day. This seminar is appropriate for anyone who is currently using or considering using microwave sample preparation in their laboratory. 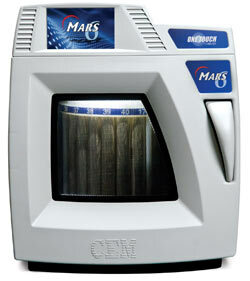 You will also have the opportunity to see demonstrations of the MARS 6 and new Discover SP-D 80 systems. The MARS 6 with One Touch TechnologyÂ® is the easiest batch microwave system to use. Just select your sample type from the hundreds of preprogrammed methods and press "Start". The MARS 6 takes care of the rest. Looking for a sequential system to handle fewer, more varied, or rush samples? The Discover SP-D 80 can now process the same sized samples as the MARS 6 but with the convenience of 10-minute digestions and sequential sampling. Seminars begin at 8:30 am and conclude at approximately 2:30 pm. These Seminars are FREE and space is limited so register today.